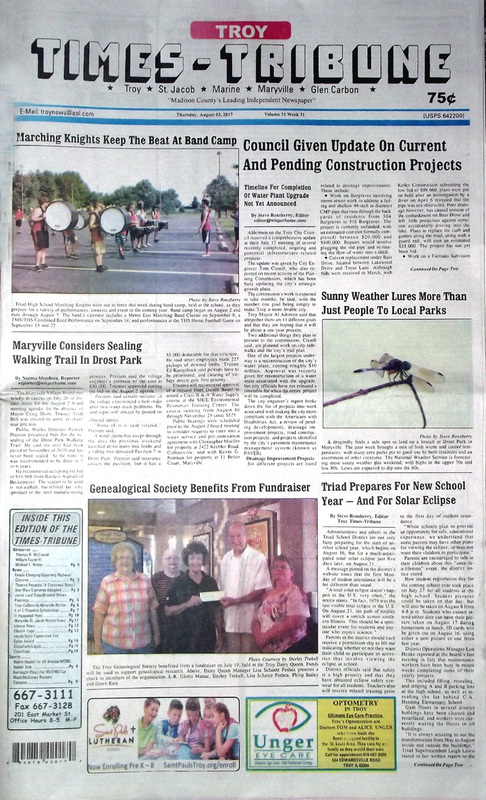 The August 3, 2017 edition of the Troy Times-Tribune is available. 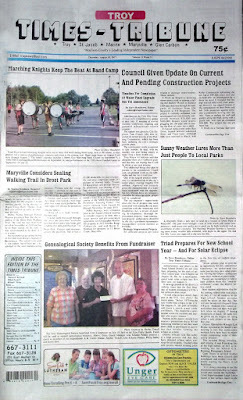 Some of the headlines in this issue: Council Given Update on Current and Pending Construction Projects, Maryville Considers Sealing Walking Trail in Drost Park, Triad Prepares for New School Year -- and Solar Eclipse, St. Jacob Resident Earns High Marks for Paintings, Buente Headed for U.S. 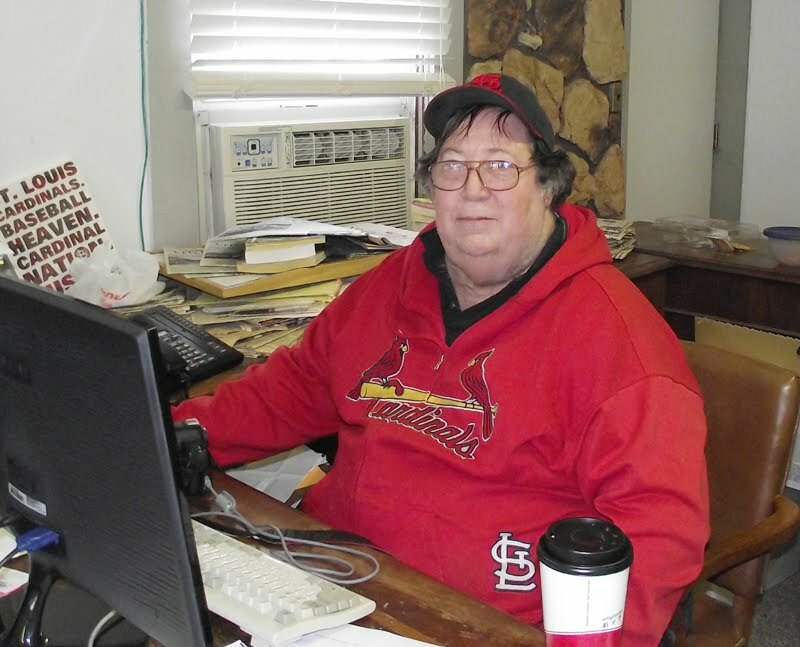 Amateur Tournament; plus we have an editor's column, our “It Happened Here” page, police blotters, news about upcoming events, and lots more.